Gardening is therapy and you get tomatoes……. It’s finally officially Spring and, although still chilly outside, it’s time to think about planting some cheerful flowers or getting the garden beds ready for those vegetable seedlings. 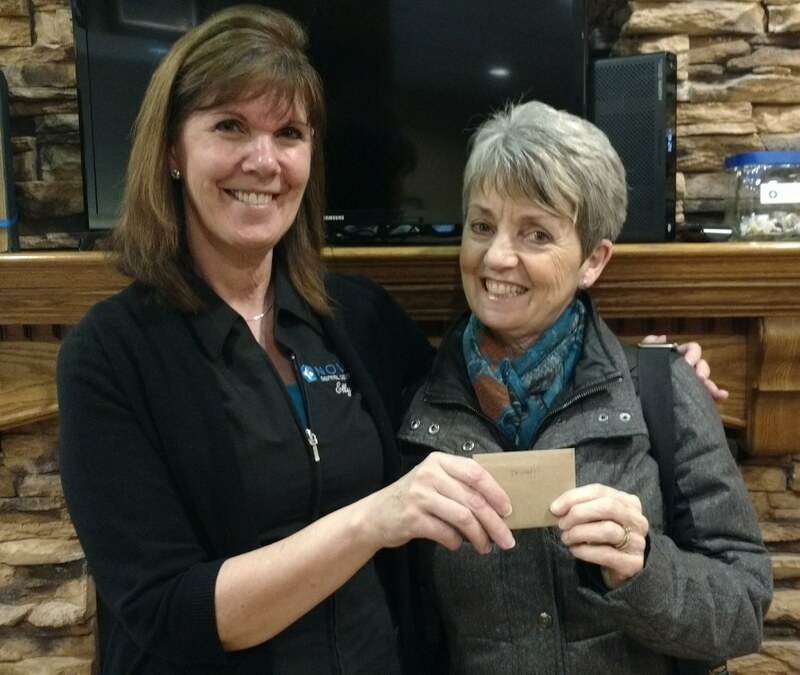 Our lucky Monthly Draw Prize of a $50 gift certificate to Devan Greenhouses was presented to Carolyn Dittmer. At Devan Greenhouses Carolyn is sure to find everything she needs, whether it is hanging baskets, seeds, seedlings, fully grown potted plants or gardening tools. Devan Greenhouses started out growing and selling bedding plants in Chilliwack in 1993 and has since moved to Abbotsford into a new glass greenhouse. Using the latest technology, they are able to provide a large selection of annuals, herbs, perennials and vegetables. A retail store was incorporated into the design so that the general public could have access to their plants at an affordable price, although they also wholesale their products throughout the Lower Mainland and ship to the interior of BC, Alberta, Saskatchewan and into the States. Carolyn has many options when it comes to gardening. There are Annuals; these plants do not survive past a year and are meant to add vibrant splashes of colour to your garden, or Perennials; plants with soft (non-woody) stems that live for more than one season. The leaves die down each winter but the roots survive to send up new shoots the following year. Their staff can certainly direct you to the best options to enhance the look of your home or give you gardening tips on how to grow, prune beautiful flowering plants or even harvest those tasty vegetables. Even those that don’t have an especially “green thumb” can have success with a beautiful hanging basket or, for those that are more whimsical, you can create a fairy garden or terrarium as Devan Greenhouses carries the cutest of accessories. Congratulations Carolyn, whatever you choose, we hope it brings you many days of enjoyment.